Nidderdale League extended season preview: Ouseburn fancied but how will new teams fare? Pannal’s promotion to the new Yorkshire-wide pyramid structure has opened the door for a new champion of the Nidderdale League in 2016. A rise into the York and District Senior League Galtres Division Two is once again the prize for the title winner. Ouseburn, Helperby and Spofforth have all been suggested as likely high-fliers at the top of the table, while Burton Leonard, Alne and Hampsthwaite will be looking to improve on midtable positions last year. Following Killinghall first team’s demise, four teams have been promoted and could be dark horses. 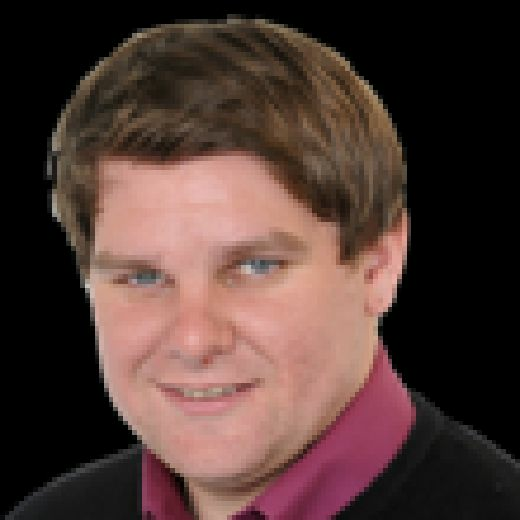 Harrogate Advertiser sports editor Ed White explores the changes at each Division One club and what each one is aiming for in 2016. Ouseburn were a close second behind Pannal under Chris Morrison 12 months ago but the captaincy reins have been passed to David Cummings for the 2016 title quest following Morrison’s move to Bilton. Sam Dale has also headed out the exit door to the North East with Cummings leaving it late to register their replacements. Dan Lever and Josh Forster will be promoted into the first team, while Jamie Bryant and Russ Robshaw hold the key again with the ball. Alongside previous winners Ouseburn and Spofforth, HELPERBY are also fancying a dart at the title after finishing in the final spot of the podium last year. James Mannion has signed on the dotted line from Sessay, while a Zimbabwean overseas player is waiting on a visa confirmation. Captain Matt Cavanagh said: “After finishing third last year we want to go a little bit better. The aim is to win the league and win the cup and every game we go into. Cavanagh earmarked the “lively” Dan Marston as the club’s main threat with the ball and was looking for early wickets from the strike bowler. “If we can keep him out of the pub on a Friday night, we have a very good bowler,” Cavanagh joked. The exit door has been swinging on its hinges at Bishop Thornton. Will Wray was a key player at Thornton last season with 564 runs from 21 innings but his run-scoring attracted the interest of York and District Senior League outfit Studley Royal. Josh Chandler added 343 runs too 12 months ago but he has joined Wray at Royal. Aussie Josh Davies is over for a second season and will be looking to build on the 667 runs he compiled last season. Rob Nelson and Dan Thirkell will also be key players with the bat. SPOFFORTH have been tipped as potential title candidates after recruiting Nick Robinson from Follifoot, with other signings expected before the opening game. Australian all-rounder Andrew Bottega will bring the overseas power to the 2013 champions. Patrick Gannon hit two centuries last season in a total of 840 runs and could hold the key to a title challenge. HAMPSTHWAITE captain Sam Dabin is readying his troops for an assault on the top three following years of midtable mediocrity. Australian Luke Manion will offer hustle and bustle opening the bowling and three new recruits add strength in depth. Bowling looks to be Dabin’s strong hand with teenagers Max and George Bealey both adding a yard of pace in their actions over the winter. Following four promotions in six years, WEST TANFIELD have finally found themselves in the top tier and bullish captain Henry Glatman is keen to continue the club’s momentum. Glatman has been active in the off-season with the signing of four top players to add to his options. Wicket-keeper Stuart Clark is a notable arrival from Studley Royal, while Henry Crawford has been snapped up from Sheriff Hutton. Adam Crawfurd-Porter adds Division One experience after leaving Killinghall, while Bevan Fawcett makes the step up from Dacre Banks. Sam Abel will be the crucial wicket for opponents to grasp after scoring more than 900 runs in Tanfield’s promotion campaign last year. “We are really hoping to push on in Division One and not just settle for survival,” said Glatman. Prolific runscorer Jim Riley will form the focus of BIRSTWITH’S batting line-up after returning to the promoted outfit from Follifoot. 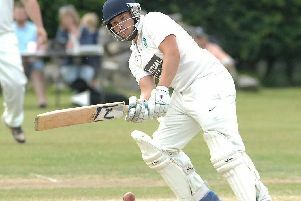 Riley topped the batting charts for Birstwith two seasons ago before trying his hand in the Aire-Wharfe League in ’Foot’s relegation campaign. “He’s a great batsman,” said Birstwith skipper Jon Millward. Gary Collett, Ryan Lamb and Karl Barnes are in to add depth to a squad which has opted against bringing in an overseas player. Instead, hopes are pinned on teenage prospect Craig Robinson whose off-tweaks brought him the club’s bowling trophy last season. Millward has set survival as the club’s primary goal but reckons that falls well within their capabilities. Tom Simpson will lead PATELEY BRIDGE’S return to the top tier after a ten-year exodus and has players chomping at the bit to force their way into his plans. Bridge were promoted after the end of the season with Killinghall and Pannal’s exits but Simpson is confident his players can adapt to life in the fast lane. The skipper has kept the same squad as last year and still trying to secure the services of an overseas player. Paceman Oliver Fryer will be given an opportunity from the second team as will 16-year-old left-arm swing bowler Tom Mann. KNARESBOROUGH FOREST are also relishing the prospect of testing themselves in Nidderdale’s top flight this season. Following their promotion on the final day of last season, the Trees moved quickly to tie down record-breaking batsman Aaron Brunner for the 2016 season. Brunner scored 1,778 runs in 21 innings in Division Two last summer with an incredible ten centuries and five 50s. Led this season by wicketkeeper Craig Robson, The Trees have lost the services of Joel Ainsley and Matt Clapperton to Yeadon and Studley Royal respectively, but have secured the signings of Lofthouse duo Paul Kennedy and Ben Challis. DARLEY captain Duncan Naylor has set his sights on midtable stability before launching an assault on the top places next season. Naylor was unconcerned by the bottom of the table despite his side finishing just fourth bottom last year, predicting that the four promoted teams would be fighting it out for the relegation places. “I am hoping we can finish mid-table or above because there are some rubbish teams that have come up,” he said. Naylor has brought Chris Gill back after a spell at Rawdon and predicted fireworks from the hot-headed all-rounder. Naylor has also set Australian all-rounder Brad Stevens a brutal assignment as the club’s overseas. “I am expecting 50 wickets and he should be getting 500 runs,” Naylor said. Building pressure will be key to BURTON LEONARD’s top four assault with new captain James Townsend keen to operate aggressive field placements . Leonard have enjoyed top five placings in the last two seasons and another top of the table challenge awaits according to Townsend. Overseas ace Nicky Smith is returning for a third spell and Townsend was keen to reap the rewards of the Australian’s low economy rate and tight control. Youth prospect Max Crompton has been tipped to star with both bat and ball. In 14 innings, Paul Hutchinson scored 415 runs last year and ALNE will be looking for more in their bid to improve on their sixth placed finish. The runs were generally shared out between the squad 12 months ago, with overseas Luke Vincent topping the runcharts in his second season. This year’s overseas has yet to be registered with the league as are any transfers in or out. Bowling is the real strength, with captain Toby Stirke and Shaun Foulds both in the 30s for wickets 12 months ago.